Used for mounting two solar panels to our 4200mm rail. Solar Panel mid clamp 40mm comes with bolt to suit our 4200mm railing system, in order to mount multiple panels in conjunction with end clamps to mount single panels. Please check profile of panel as these will only fit solar panels with profile of 40mm, for other sizes please see our other listings. 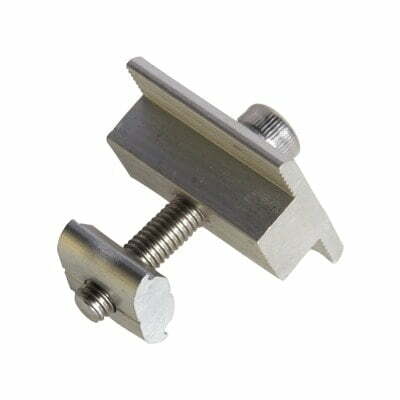 Mid clamps or brackets are designed to bolt to aluminium rail and be able to slide along for adjustment. Please note these fit our 4200mm railing system (supplied with matching nut) but will also fit other railing systems as long as the nut is changed to suit the rail (not supplied). 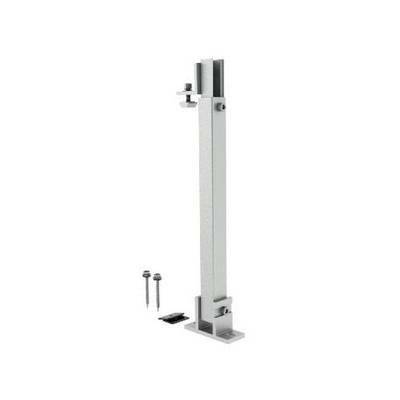 Note that this is for a single clamp and is supllied with our mounting hardware, and will fit 40mm profile panels.